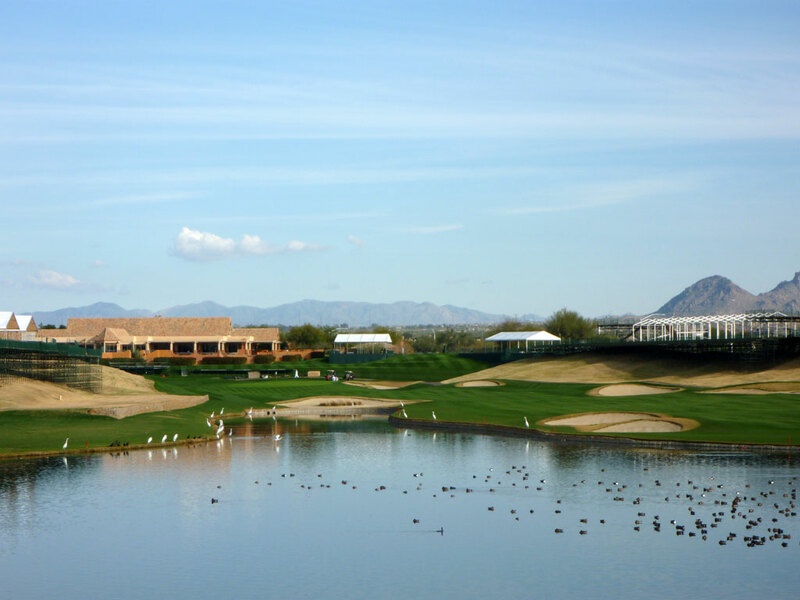 Course Website: Official Website - Visit TPC Scottsdale's official website by clicking on the link provided. 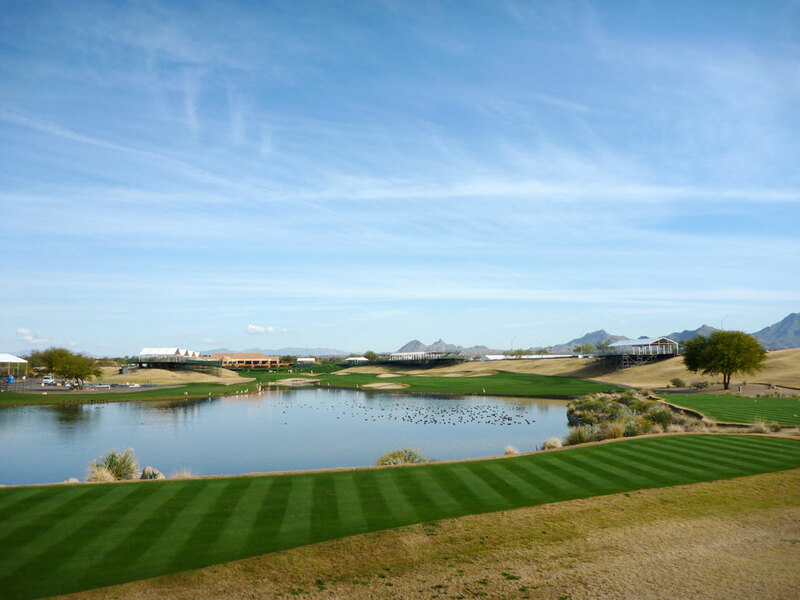 Accolades: Ranked 15th in Arizona on Golf Course Gurus' Best in State list. 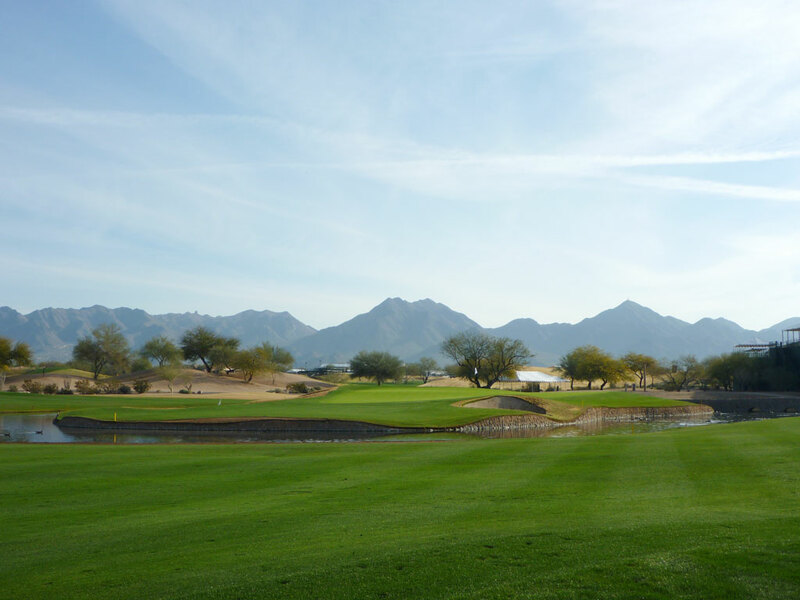 What to Expect: TPC Scottsdale isn’t a typical target desert golf course. 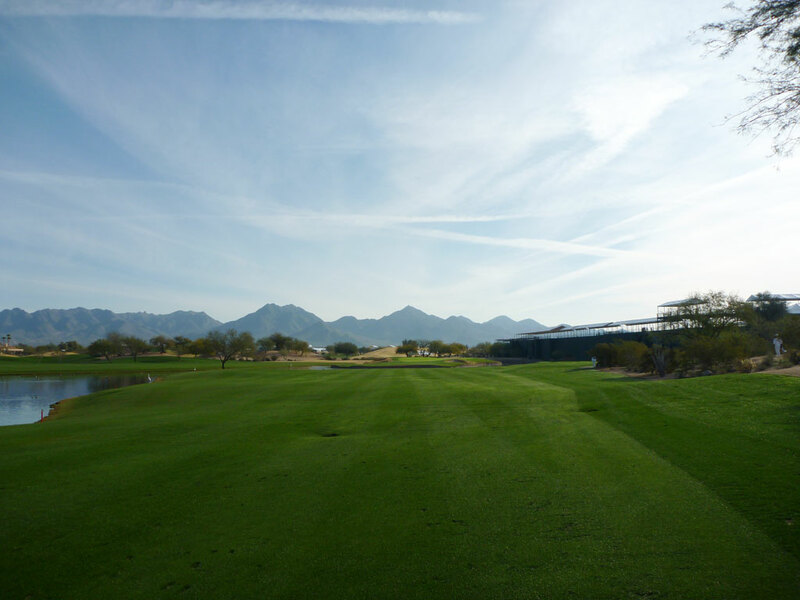 While there are challenges in the form of bunkers and water hazards, there is little in the way of vast waste areas and natural desert that is found in most Arizona tracks. The final stretch of holes on the back nine were specifically designed to add drama and excitement for when the PGA Tour rolled through town. This final stretch includes an island green par 5, a dramatic par 3, a driveable par 4, and a stout finishing two-shotter. Course conditions are top notch and having a chance to play where the pros do is always a treat. Best Par 3: 16th Hole – 162 Yards – TPC Scottsdale’s most famous hole now gives you a small glimpse of what it can be like playing on tour. 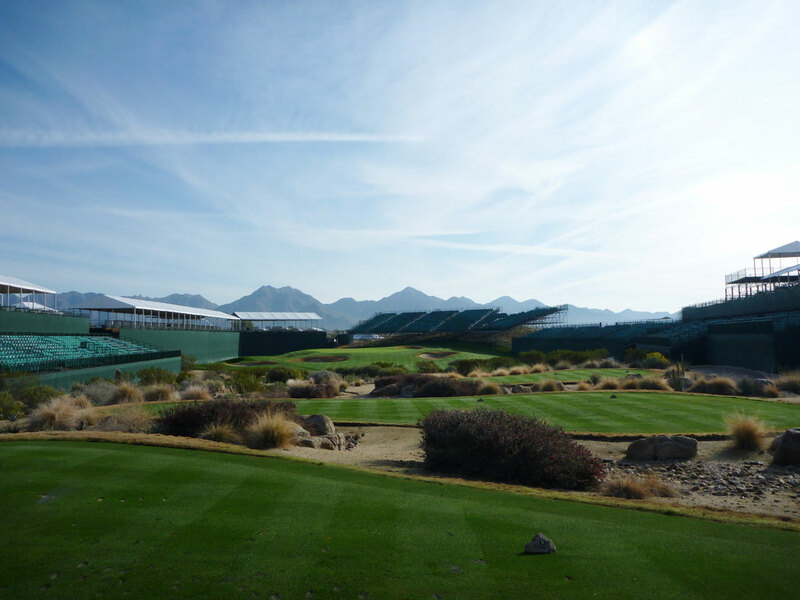 The course now leaves up the 20,000 capacity seating at the 16th hole year round and gives you the opportunity to walk into the stadium setting and tee it up. While you won’t experience thousands screaming for you hole in one like Tiger Woods did in 1997, you can at least imagine the experience better due to the surrounding environment/seating and exit the stadium feeling like a rock star. Best Par 4: 18th Hole – 438 Yards – The back nine at TPC Scottsdale is significantly better than the front nine offering with the final hole well representing the back nine’s superiority. A large lake runs from the front of the tee box and consumes the entire left side of the hole. 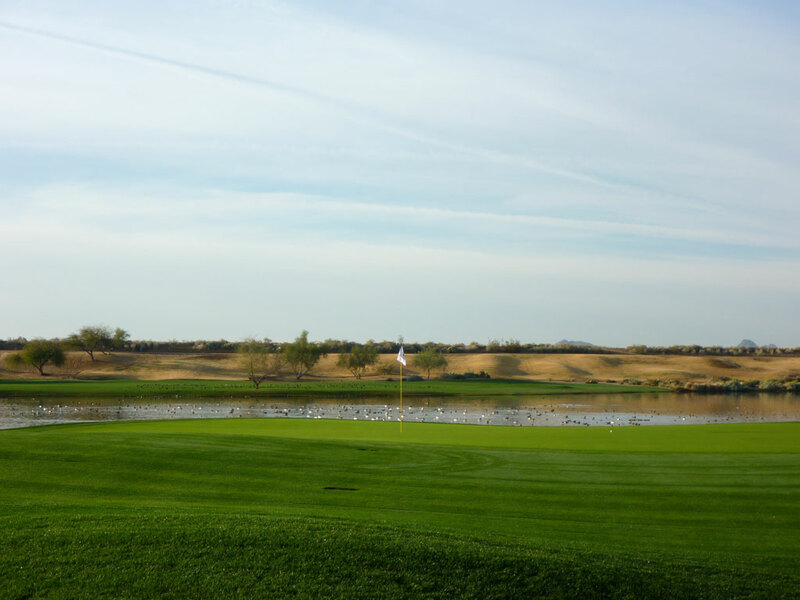 Deciding how much of the lake to cut off while hitting to the fairway is the big test on this hole where a bad result can quickly bring a big number into play. Bunkers are found on each side of the fairway, so playing safely to the right could still end up in trouble while challenging the left side could actually be saved by finding the sand rather than the water. If you safely navigate your tee shot then the approach shot will seem like a walk in the park, but you can imagine the pressure you’d feel teeing it up with something on the line going into the last hole. Best Par 5: 15th Hole – 552 Yards – Island greens are most often featured on par threes, however a former and current TPC course feature them on par fives. The former TPC Woodlands course (now known as Woodlands Country Club Tournament Course, or East Course) north of Houston features it as their 13th hole while TPC Scottsdale boasts it as their 15th hole. At 552 years, you’ll have to bust a big drive to dare attempt reaching this green in two, but from one tee box up (blues) the hole drops under 500 yards and opens the door to many more golfers that may be willing to risk going for it. Wisely, this hole attempts to lure in golfers by offering a fairway landing zone that comes off the front left portion of the green so that the hole isn’t an absolute do-or-die scenario on your approach shot. This is the first of four straight holes that promotes taking a risk and getting under par. Birdie Time: 17th Hole – 332 Yard Par 4 – Late in the round, TPC Scottsdale offers golfers a chance to erase a previous mistake by taking advantage of this driveable par four. A waste area and a couple of bunkers need to be avoided while taking a rip at this hole, but there should be little fear in going for it and trying to land a birdie. Andrew Magee gained notoriety on this hole in 2001 when he impatiently teed off feeling frustration from carding a double bogey on the previous hole. The angry tee shot penetrated the air before running up on the green where the previous group had yet to clear. The ball banked off Tom Byrum’s putter, catching Byrum by surprise, and rolled eight feet before falling in the cup. So if you are feeling good and don’t mind confrontation, go ahead and bomb away at this hole and see if the group ahead of you generates a lucky kick that matches Mr. Magee. 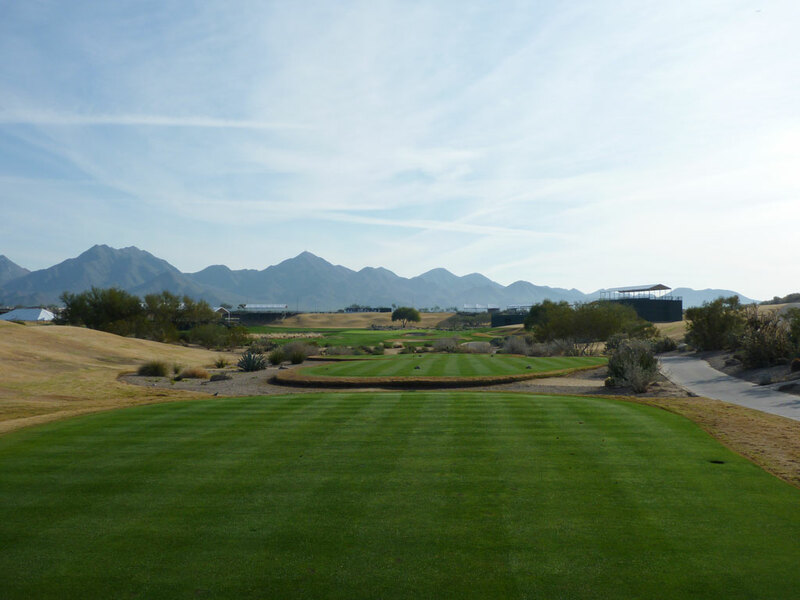 Bogey Beware: 11th Hole – 469 Yard Par 4 – The best, the easiest, and the toughest holes at TPC Scottsdale all exist on the back nine, and #11 represents the toughest. This long par four features a water hazard up the entire left side of the hole while the right side of the fairway tilts left and causes additional fear on your ball getting wet. Several trees and a waste area are found right of the fairway while a single tree sits on the left of the driving zone. The water cuts in next to the greenside bunker on the left but never crosses the fairway or fronts the putting surface. When approaching the green, short is better than long to avoid trouble with the water and waste area behind the green. It is a demanding hole that very well could result in a box being placed on your scorecard. 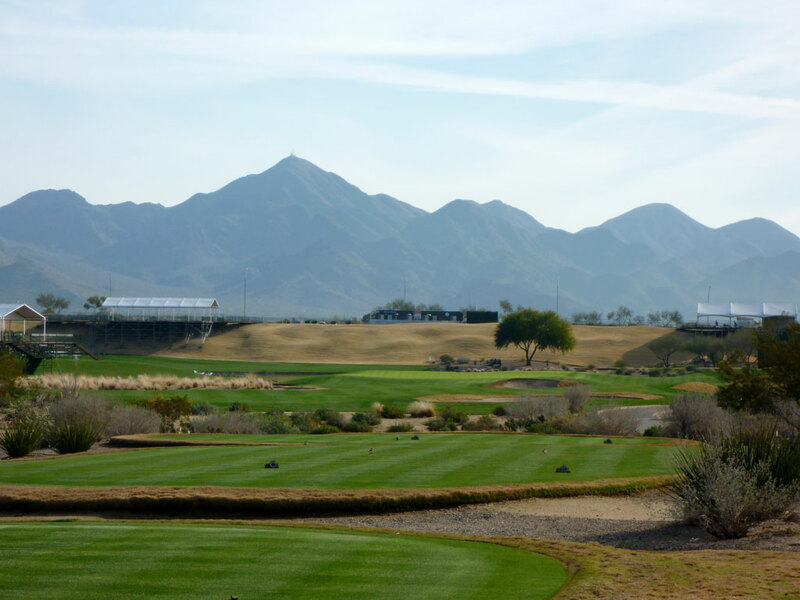 TPC Scottsdale isn’t a typical target desert golf course. 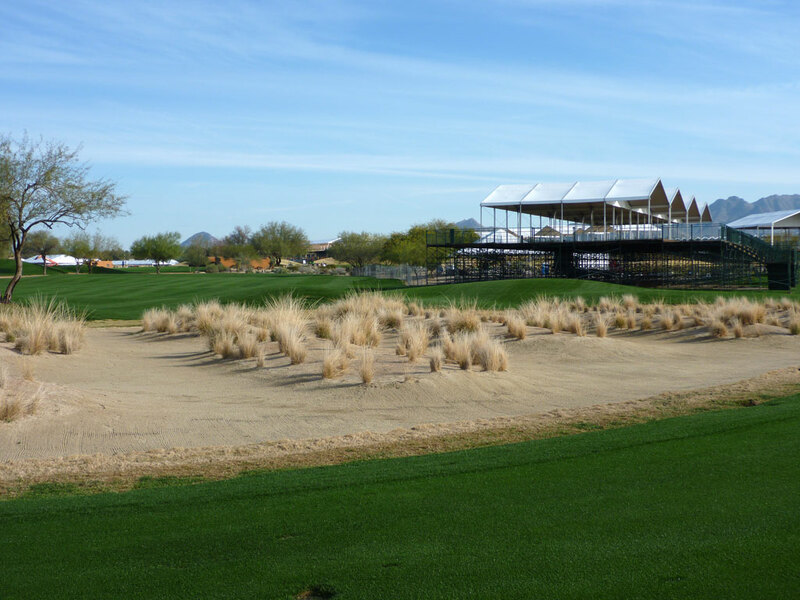 While there are challenges in the form of bunkers and water hazards, there is little in the way of vast waste areas and natural desert that is found in most Arizona tracks. The final stretch of holes on the back nine were specifically designed to add drama and excitement for when the PGA Tour rolled through town. This final stretch includes an island green par 5, a dramatic par 3, a driveable par 4, and a stout finishing two-shotter.